The repo rate cut will nudge banks to cut interest rates on loans for borrowers and provide a stimulus for demand in the economy. New Delhi: The Reserve Bank of India (RBI) announced a surprise 25 basis points (bps) cut in the benchmark lending rate to 6.25 per cent Thursday, a move that will be welcomed by the poll-bound Modi government. The central bank also changed its monetary policy stance — a key signalling indicator to the markets —to ‘neutral’ from ‘calibrated tightening’. The repo rate cut, coming after a gap of 18 months, will nudge banks to cut interest rates on loans for borrowers and provide a stimulus for demand in the economy. However, it remains to be seen if the banks will quickly pass on the benefits of the rate cut to the borrowers. The repo rate is the rate at which banks borrow from the RBI in case of shortage of funds. This was the first meeting of the monetary policy committee (MPC) under Shaktikanta Das who took over as the RBI governor in December after the sudden exit of Urjit Patel over differences with the Modi government. This was also the last meeting of the MPC before the Election Commission announces the dates for the Lok Sabha elections. The next meeting of the committee is scheduled in April. The last rate cut was announced in August 2017 and was followed by two hikes of 25 bps each last year. India’s retail inflation fell to a 18-month low of 2.19 per cent in December. It also stayed below RBI’s inflation target of 4 per cent for five consecutive months. 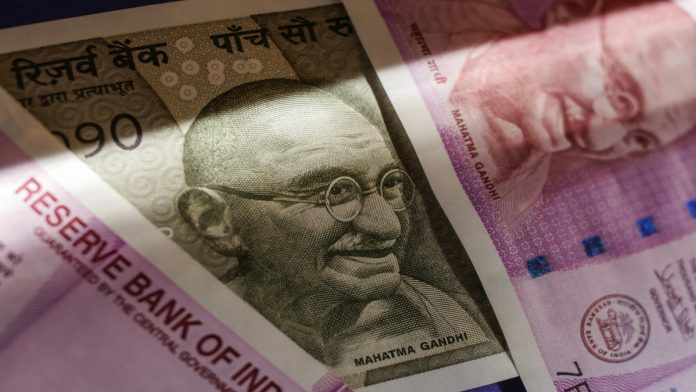 However, economists were divided if a rate cut will be announced, citing core inflation of over 5 per cent as well as the fiscal slippage in the Union budget. India raised its fiscal deficit projections for the year 2018-19 to 3.4 per cent of the gross domestic product from the previously estimated 3.3 per cent. The Modi government has been pushing for a rate cut by the RBI as it looks to support growth by increasing credit offtake to key sectors of the economy. The Indian economy is expected to grow at 7.2 per cent in 2018-19, higher from the 6.7 per cent in 2017-18. However, growth is said to be slowing down in the second half of the fiscal. “Investment activity is recovering but supported mainly by public spending on infrastructure. The need is to strengthen private investment activity and buttress private consumption,” said the MPC. It, however, warned about upward risks to inflation including the proposals in the Union budget that may be inflationary. “Several proposals in the union budget for 2019-20 are likely to boost aggregate demand by raising disposable incomes, but the full effect of some of the measures is likely to materialise over a period of time,” it said. Other uncertainties flagged by the MPC include uncertain monsoons, volatile vegetable prices, hazy oil price outlook, further heightening of trade tensions and geopolitical uncertainties, the unusual spike in the prices of health and education, and volatile financial markets.